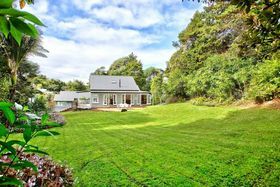 This enchanting property and section is a true forever home that is certain to have a plethora of admirers. 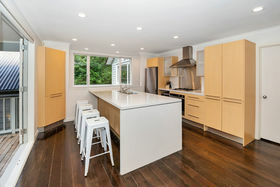 Oozing with mid-century character and sprinkled with modern convenience, families will enjoy this beguiling multi-level abode to put down roots and grow. 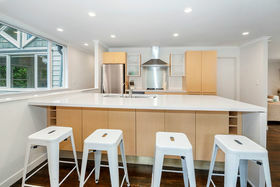 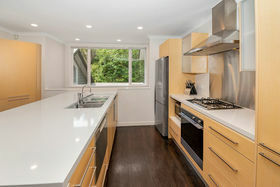 The contemporary kitchen has an engineered stone bench top and breakfast bar. 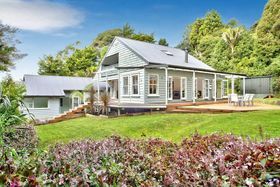 The open plan living sprawls into large dining and lounge with warm timber floors and a wood-burner for those chilly evenings. 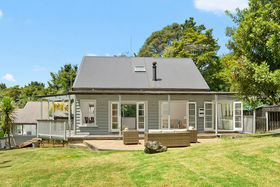 French doors and sash windows bathe the space in natural light and entice you outside to a patio and decks for alfresco dining. 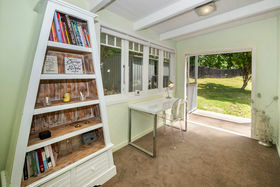 Through the hall you'll find the laundry neatly tucked away for functionality, and the home office with garden views ensuring working from home is a joy. 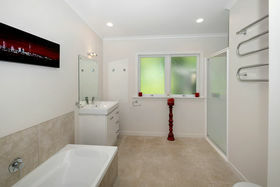 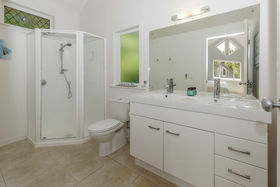 The generous master bathroom has both shower and bath, ideal for the little ones. 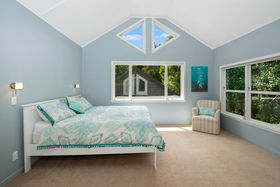 The majestic master bedroom has a sumptuous en-suite, and walk-in wardrobe complemented by high ceilings and picture windows offering a sanctuary for Mum and Dad. 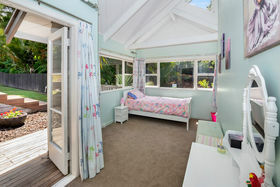 Descend a little further to find a well-appointed bedroom and the children's quarters beyond. 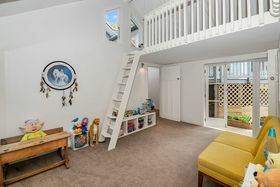 A large playroom with mezzanine, flanked by two well-appointed illuminated bedrooms, ensure children of all ages will enjoy safe play all year round. 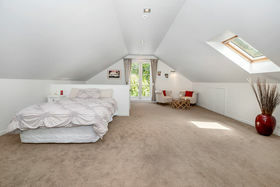 Ascend to the top level for a bedroom/rumpus cavernous in size, with storage in the eaves and a picture balcony to the front. 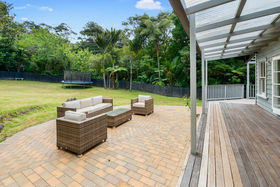 With space to lounge, study and play this could be the ideal location for your independent teen or extended family with privacy assured. 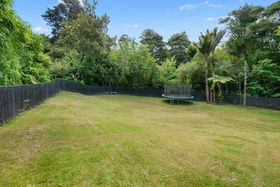 The second section is now enjoyed as an expansive garden, but has potential for you to make plans with your architect. 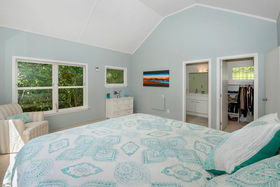 A short path to the side of the property finds you on a secluded beach, offering weekends of kayaking and swimming. 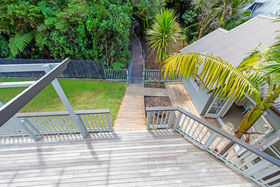 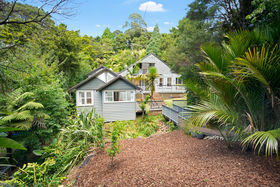 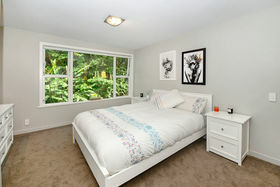 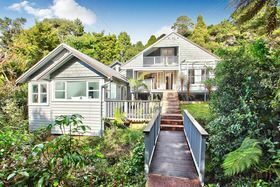 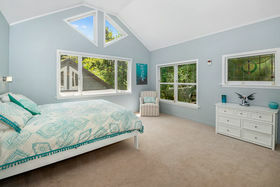 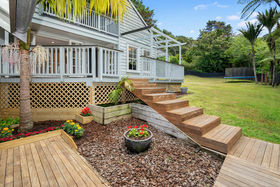 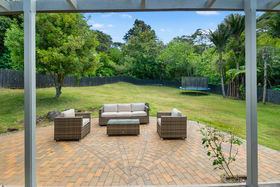 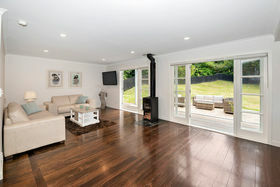 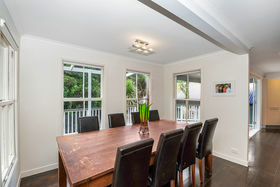 Titirangi village and all it offers is a short drive away, and the western beaches are on your doorstep. 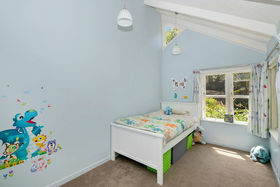 Desirable in-zone schooling for children of all ages ensures everyday life is a breeze. 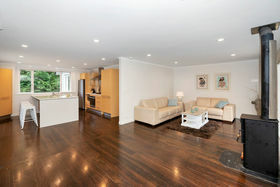 Contact me today to make your next move, an amazing move!